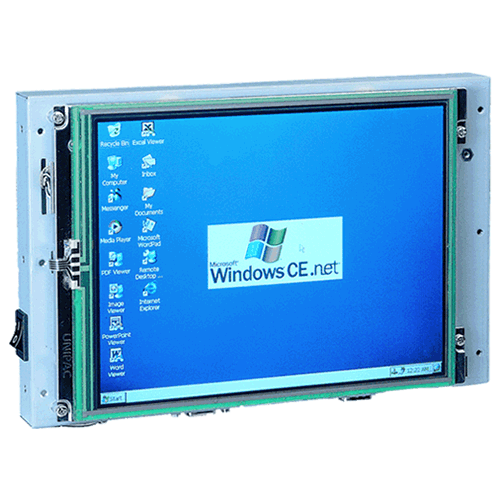 PPC-E4+ Open Frame ARM Panel PC | EMAC Inc. Setting up a Panel PC can be a Puzzling experience. However, when purchased with an Operating System and Compact Flash, the VOX-084 Compact Panel PC comes ready to run. Just apply power and watch either the Linux X Windows or the Windows XP/CE User Interface appear on the vivid color LCD. Interact with the VOX-084 using the responsive integrated touchscreen. Everything works out of the box, allowing you to concentrate on your application, rather than building and configuring device drivers. Just Write-It and Run-It. The PPC-1123 operator panel is an Intel® Atom™ D2550 1.86 GHz processor computer that is designed to serve as a human machine interface (HMI). It is a PC-based system with 12.1" color TFT LCD display, onboard Ethernet controller, multi-COM port interfaces and an audio controller. With a built-in CFast™ socket, the PPC-1123 is as compact and user friendly as a multi-function computer. In addition, its "fit anywhere" design makes it very flexible and able to be used in many different kinds of installations. It can be Panel/ VESA 100 mounted. Receive consultation or quotes about this product from our sales staff. 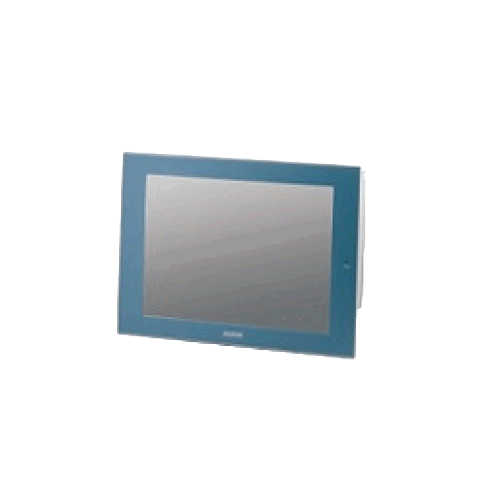 The PPC-E4+, an ultra compact Panel PC with a 4.3 inch WQVGA (480 x 272) TFT color LCD and a resistive touch screen. The dimensions of the PPC-E4+ are 4.8” by 3.0”, about the same dimensions as that of popular touch cell phones. The PPC-E4+ is small enough to fit in a 2U rack enclosure. Unlike other compact Panel PCs, the PPC-E4+ comes with EMAC's Embedded Linux distribution installed and fully configured on the onboard flash disk. This allows the software engineer to concentrate on writing applications and not have to worry about configuration and setup. Just apply power and watch the User Interface appear on the vivid color LCD, Linux X-Windows desktop. 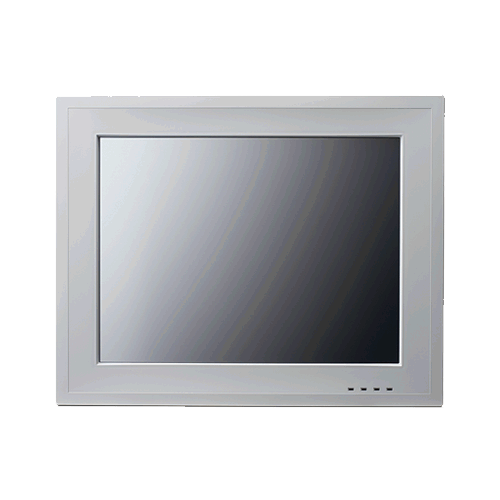 Interact with the PPC-E4+ using the responsive, integrated touch screen. 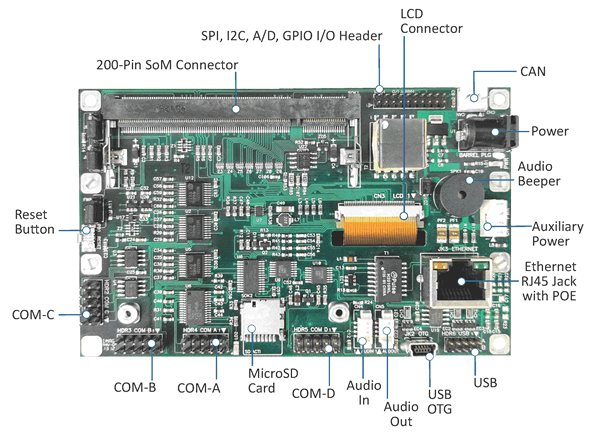 The PPC-E4+ compact Panel PC utilizes a System on Module (SoM) for the processing core. This allows the user to easily upgrade, if more memory capacity, storage capacity or processing power is required. The PPC-E4+ includes an embedded ARM 9 SoM; this ARM System on Module features a 400Mhz Fanless Low Power Processor with Video and Touch. 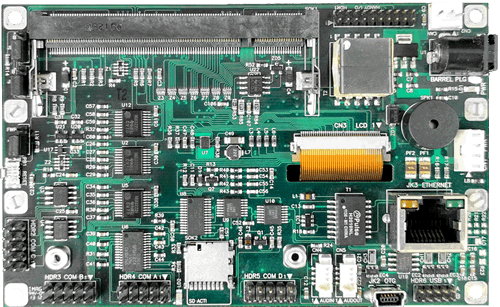 The SoM provided with the PPC-E4+ supports up to 256MB of SDRAM, Up to 1GB of Flash, and 4MB of serial data flash. Typical power consumption is less than 5 Watts and the LED backlight can be shut off when not in use to further decrease its power consumption. The PPC-E4+ offers three RS-232 serial ports, and one RS232/422/485 port. Also provided are two USB 2.0 host ports, an Audio Beeper and a battery backed real time clock. A Micro SD card socket is provided for additional Flash storage. The PPC-E4+ can be connected to a network using the 10/100 Base-T Ethernet controller and its onboard RJ-45 connector. When developing CE 6.0 application for the PPC-E4+, Microsoft Visual Studio 2005/2008 can be utilized. For Embedded Linux application development, EMAC provides a Free Eclipse IDE. Both Visual Studio and Eclipse provide everything the user needs for developing PPC-E4+ applications. All the compiling, linking, downloading, and debugging inherent to software development can be done from one easy to use high level interface. EMAC provides an SDK for the PPC-E4+, which contains source examples and drivers. Flash Disk: Micro SDHC Socket. System Reset: Supervisor with external Reset Button provision. Some IO configuration can be changed in the software to operate differently, IO functions are listed as configured by default. Analog I/O:ADC with 4 channels utilized for 4-wire touchscreen interface. Power: Power Management Controller allows selectively shutting down on processor I/O functionality and running from a slow clock. All Pricing and Specifications are subject to change without notice.